For assembly, SAB choir, cantor, violin and piano, this piece was written to celebrate the birth of my son. It has many uses: graduations, school masses, baptisms, confirmations and as a general hymn of trust. Chosen as the Official Hymn for the World Meeting of Families 2018, this strong processional for cantor, assembly, SATB choir, trumpets and organ is based on the papal document Amoris Laetitia, with words also from 1 Corinthians 13 and Micah. Arrangement for SATB choir, descant and organ of the Old 100th hymntune. Verses 1-3 have the well-known harmonisation by J. Evers, with a new descant and accompaniment for the final verse. A new setting of this well-known paraphrase of Psalm 100 by William Kethe, with an exciting, driving 6/8 rhythm and melody for congregation with attractive choral parts. The flute line adds a touch of sparkle! A short motet for unaccompanied SSA choir, suitable as a choral communion prelude or general reflective piece. 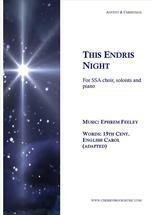 A sprightly setting of a text by Timothy Dudley-Smith for full choir, assembly, violin and piano. Suitable as a gathering hymn during the Easter Season. A setting of the canticle of Zachariah, suitable for Morning Prayer, feasts of John the Baptist and for general use throughout the year. Scored for assembly, SATB choir and organ. A very simple hymn for assembly, SATB choir, organ and optional violin, useful for Pentecost, confirmations or any occasion throughout the church year. A hymn for Christian unity, with a short, memorable refrain. Scored for assembly, SATB choir, cantor and organ. Suitable for communion, reconciliation services and Lent. A general communion processional hymn for assembly, SAB choir, cantor, piano and optional clarinet. A very catchy refrain for assembly is complemented by accessible verses for choir. A very user-friendly setting of the Magnificat with a strong unison refrain, psalm-tone verses, organ and optional flute line. This rhythmic setting of the Benedictus canticle, scored for assembly, SATB choir and piano, is suitable for Morning Prayer and feasts of John the Baptist. Settings of the Communion Antiphons from Ash Wednesday to the Fifth Sunday of Lent for SATB choir. These attractive, unusual and pithy settings are ideal as short choral preludes before the communion processional hymn begins or as short reflective post-communion pieces for the more advanced a cappella choir. A robust, rhythmic setting of this familiar text suitable for use throughout the year. Scored for assembly, SATB choir, descant and organ. Organists will find the different accompaniments to each verse rewarding. Using a well-known text attributed to St Theresa of Avila, this powerful piece for SAB choir, piano and oboe has two reflective, poignant sections framing a short, dramatic middle section. One that your choir will love! With text by James Quinn, this simple hymn for full choir, cantor, assembly and organ uses different metres, and is suitable for baptisms, confirmations or any occasion in the liturgical year. Originally written for unison children's choir, two cantors, organ and flute, and suitable as a strong, lively gathering piece for all. This strong setting for full choir and organ allows the familiar tune to be presented in a new way. The congregation sing the odd-numbered verses, with the choir (or schola) singing every other verse. A powerful descant with surprising harmonic twists comes in the final verse. Suitable for confirmations, Pentecost and healing services, this simple meditative piece is for SATB choir, cantor and organ. A haunting setting of this beautiful text for solo voice, SATB choir, assembly, violin and piano. Each verse gets subtly different treatment to provide interest for the performers. Using the principal theme of the Veni Sancte Spiritus chant, this powerful, yet very simple, piece with unison assembly refrain and freestyle verses is suitable for confirmations and Pentecost. This elegant text by Adam Tice is paired with this angular, discomforting music capturing the Christ who came to comfort the disturbed, and to disturb the comfortable. Scored for SAB choir, assembly and piano, this piece also has an optional line for a skilled clarinetist. A must for your Advent season! A set of eight short antiphons for unaccompanied choir for use at communion or offertory time, or as choral reflections. These settings, with their lush, creative harmonies, will challenge your choir and provide moments of peace and meditation. Scored for two trumpets, cantor, assembly, full choir and organ, this piece is suitable as a strong gathering hymn for a festive occasion where there are larger performing forces, though works equally well with smaller groups. An a capella setting of the Exsultet for the Easter Vigil, scored for presider (or cantor) and unison assembly. Ideal for weddings, or for the washing of the feet on Holy Thursday, this attractive piece is scored for SB choir (with exquisite discords in the descant line), assembly, two cantors, violin and piano. A reflective piece asking for God's love and mercy, scored for assembly, full choir, violin and organ. Suitable for all occasions, and especially the Feast of the Sacred Heart. A lyrical setting of the Sequence for Pentecost for SAB choir, assembly, cantor, oboe and organ. The text of the refrain, taken from the Veni Creator hymn, can be sung in either Latin or English. Suitable for Pentecost, confirmations, baptisms and general use. A reflective hymn on God as creator, with a lush congregational refrain and verses for soloist and choir. Highly useful during the Sundays in Advent, these short Communion antiphons for SATB choir may also be sung as choral preludes, reflective pieces before or after the Eucharist, or as part of a service of lessons and carols. They could also be presented as a set for choral concerts. Based on a text from Micah 6, this reflective piece for SATB choir, cantor, oboe and organ is ideal for Lent, with its themes of conversion and discipleship. Scored for large performing forces of two trumpets, timpani, SATB choir, cantor and organ, this strong setting of James Quinn's text is suitable for festive occasions, especially during the Easter season. A hymn expressing the gentle care of God, with an alternative setting for General Intercessions. Scored for cantor, SATB choir, assembly and organ. This traditional English carol is given a fresh SAB arrangement accessible for all choirs with a compelling piano accompaniment. This strong communion processional hymn is scored for assembly, SAB choir, cantor, and organ. The text is drawn from an Orthodox prayer and Psalm 34. A gentle, reflective piece suitable for all times based on the personhood of Christ as God's promises fulfilled, and the embodiment of God's love and justice. Scored for SAB choir, assembly, descant, piano and optional cello. A simple strophic hymn with text by James Quinn. Scored for assembly, descant, flute (or C instrument) and organ. Suitable as a gathering hymn for Pentecost, confirmations and all occasions. The Sequence for Pentecost is one of the few sequences remaining in the liturgy. The metrical translation by Edward Caswall lends itself well to a strophic hymn setting, such as this. The mood is prayerful and meditative throughout, except in the last verse, where it expands with descant and alternative accompaniment. Traditionally sung before the Gospel Reading on Pentecost Sunday, this piece is also suitable for confirmations or retreats, or any other time in the church year. A simple hymn for assembly, SB choir, cantor and piano, with optional clarinet part, in praise of God's creation. The refrain of this Christmas carol is an adaptation of the third verse of the well-known O Little Town of Bethlehem. Acceptance of Christ and his message comes through silence - this hymn captures quiet prayer, stillness and contemplation. The verses are from a hymn text by Timothy Dudley-Smith. This finely crafted, beautiful piece will remain in your repertoire and choral memory for years! Using a text by Kevin Scallon CM, this hymn was commissioned for Vincentian communities worldwide. An attractive refrain for assembly and SAB choir ends with a subtle and unexpected key change, leading into verses in a higher key, which in turn sensitively modulate back. Drawing from Johannine titles for Jesus and using a text by James Quinn SJ, this communion processional hymn is scored for assembly, full choir, violin and organ. A strong piece for assembly, SAB choir, organ and two trumpets, this hymn is particularly suitable as a gathering hymn for festive occasions. Scored for SATB choir and piano, with optional clarinet, this hymn has an attractive, poignant refrain for assembly, with lyrical verses for cantor (and/or choir). Ideal for Holy Thursday and throughout the Lent and Easter season, but also suitable for general prayer and reconciliation services. Scored for assembly, SAB choir, descant, Bb clarinet and piano, this very attractive strophic carol is perfect for throughout the Christmas season. Telling how redemption comes through the Virgin Mary, the text is a translation of a German carol from the 12th century. With lyrics inspired by the Book of Wisdom and Revelation, and a simple assembly refrain harmonized by SAB choir, this piece beautifully conveys the healing message of God's eternal love, even in the face of death. The piano accompaniment, with lush 7th and 9th chords, is complemented by the warmth of cello; both support the themes of comfort and reassurance. The verses are satisfying for the cantor and/or choir, and provide a more complex rhythmic and harmonic balance to the simplicity of the refrain. The descending whole-tone scale at the beginning of the refrain challenges the assembly to sing in a 21st-century idiom, but is not particularly difficult. Set for keyboard, guitar, SATB choir and flute, this reflective piece is suitable for general use, but more specifically for rites of initiation, graduations, and healing services. Written for a Vincentian parish, this strong hymn speaks of the virtues of justice and social outreach. Scored for SAB choir, assembly, cantor and piano, and suitable throughout the liturgical year. A haunting arrangement of the SOUTHWELL hymntune with these classic Lenten words. Organists will love the variety of accompaniment for each verse, while choirs will appreciate the ease of arrangement. Lorica means “armour” or “breastplate”; in the Irish monastic tradition, it also refers to a prayer that calls for God’s protection. The time signature alternates each measure between 3/8 and 4/4, but the entrancing melody feels natural. The tune has a range just short of an octave, but the descant allows singers comfortable with higher voices to add harmonic and rhythmic interest. With a text that draws from George Herbert's poem Love, Wisdom 9, Isaiah 25, and the Irish traditional hymn Come and Take the Flesh of Christ, this beautiful communion piece will surely find a home with your choir and community. Skillfully crafted, with attractive choral and keyboard writing, this hymn has a lyrical refrain for assembly too, and verses for cantor and choir. A reflective piece for cantor, assembly, SATB choir, oboe and organ on the action and work of the Holy Spirit. The verses are based on the gifts and fruits of the Spirit, and there are two references to the Hymn to Love in 1 Corinithians 13, since, of course, it is the Spirit that leads us to love. The piece is suitable for Pentecost, sacraments of initiation, retreats and prayer services. The simplicity of the lyrics of this carol, an adaptation of a Polish lullaby, Lulajze Jesuniu, is coupled with a simplicity of form and melody in this beautiful, elegant setting. The harmonic lines, moving largely by step, can be easily learnt by choir. This short piece can be extended by singing it through twice. A suggestion is to have a cantor sing the first verse, followed by unison choir (or section) singing the second verse, and then repeat the entire piece using the SATB harmonization and the addition of descant in the final verse. If desired, the descant line can be played on any C instrument. A strong recessional hymn for assembly, full choir, descant, flute and organ. With a text based on the Solemn Blessings and a melody with an Irish flavour, this strophic hymn is immediately accessible for your community. A multi-use piece featuring a simple unison ostinato refrain with verses for cantor and organ accompaniment. Ideal as a blessing for weddings. Two settings of the Beatitudes: the traditional ones of Jesus, found in Matthew's Gospel, and those offered by Pope Francis in 2016. A lyrical refrain unites both settings. Scored for assembly, SATB choir, cantor, organ and violin. Suitable especially for Holy Thursday, the verses of this haunting hymn tell the events of the Last Supper from John's Gospel. Scored for two-part choir, cantor and organ. Scored for unison choir (with a two-bar descant for the final "Amen"), organ and optional violin, this lyrical setting of the Canticle of Simeon is suitable for Night Prayer, vigil masses and funeral liturgies. A strong strophic hymn for assembly, unison choir (with descant), C instrument, and organ. Suitable for retreats, a gathering hymn for Ordinary Time, Eastertide, the Feast of Christ the King and the final weeks of Advent. This hymn, with verses by James Quinn, lyrically sets the O Antiphons for use throughout Advent. Scored for assembly, two-part choir and piano. ​Suitable for Good Friday (especially during the Veneration of the Cross) or throughout Lent, or for the Feast of the Exaltation of the Holy Cross (September 14), this powerful music and text leads choir and assembly through the mystery of Christ's crucifixion and resurrection. An attractive refrain for assembly and SAB choir ends with a subtle and unexpected key change, leading into verses in a higher key, which in turn sensitively modulate back. A lively gathering hymn in 6/8 for assembly, full choir, flute and organ using a text by James Quinn. A simple arrangement of the American version of this much-loved Christmas carol. Scored for SAB choir and organ, with a descant line in the final verse. This stately communion processional hymn is scored for assembly, full choir, cantor and organ. Though the language of the text draws inspiration from psalms of lament and petition, this piece, dedicated to all victims of terrorism and violence, has a pointed message to the troubled world of today. The music supports the text with effective use of chromaticism and word painting. Ultimately, however, both the text and music focus on the redemptive power of God's love and healing. Especially suitable for Evening Prayer and funerals, this strong, yet very simple, hymn is scored for unison choir with an interesting organ part. A re-working of the familiar Silent Night text, this hymn for assembly, full choir and piano provides a gentle and appealing alternative during the Christmas season. Not an arrangement of the familiar tune, but a completely new, attractive melody that will surprise and delight your congregation and choir this Christmas. Starting gently, and building up to a strong finale, this new carol is scored for assembly, SATB choir and organ. Suitable as an offertory or communion processional piece, this setting, using a text drawn from Psalm 123, is scored for assembly, full choir (with optional split tenor and soprano parts), cantor and piano. Suitable for funerals and times when we remember God's blessings. This poignant, strophic hymn is scored for assembly, SAB choir and organ. This lyrical setting of St Augustine's words, with verses from Psalm 131, is suitable for all occasions. Scored for two-part choir, cantor, violin and piano, the final refrain has surprising harmonies! The disciples’ encounter with Jesus on the road to Emmaus is one of the most powerful accounts of Eucharist in the early Church. Inspired by that event, this hymn is particularly fitting for Eastertide, though appropriate throughout the year for Communion, or as a peaceful gathering hymn. Verses can be sung by cantor or choir. The Prayer of the Newly Married Couple is traditionally said by the couple directly after their exchange of marriage vows. This melodic setting can be part spoken, part sung by either the couple or soloist, with parts for SAB choir. With its consoling refrain, this hymn is suitable for funerals, and is scored for assembly, cantor, full choir, violin and organ, though works equally well with just one solo voice. Using texts drawn from the Gospel of Mark and the Song of the Suffering Servant in Isaiah, this haunting piece, with its occasional discordant harmonies and pulsating accompaniment, is both a song of faith and a reflection on the crucifixion of Christ. Ideal for Good Friday, or any service that has the Cross as its focus. A haunting, captivating setting of this traditional Irish tune sets the lullaby of the Virgin perfectly. Scored for two-part choir, handbells and piano (or organ), this arrangement is will be quickly learnt and should find a lasting place in your Christmas repertoire. This gentle adaptation of the text to a popular 16th century tune captures a tender lullaby sung by the Virgin Mary to the infant Jesus. It is written for treble voices giving the text a gentle maternal sound. Like many medieval and renaissance carols that speak of the Virgin, the inclusion of some form of the lullaby word is present. This beautiful setting would make a nice addition to the music sung at Christmas liturgies and carol services. This Communion processional provides a very singable refrain for your assembly. The four-part texture allows for variety with choirs and ensembles. Most of the unison verses are appropriate for cantor or section; the final verse is set for two cantors, but could be sung by the choir or a small group. The text, drawn from 1 Corinthians and parts of the Didache, provides a wealth of images that celebrate our communion in Christ and the Eucharist. This rousing setting of the ancient hymn of praise and thanksgiving includes a Latin refrain for assembly and English verses for cantor and choir. Suitable for Evening Prayer, Night Prayer, and Rite of Religious Profession. A robust, strophic setting of the Magnificat hymn, suitable for feasts of Our Lady, Advent, Evening Prayer, and where readings speak of justice and praise. Scored for assembly, unison choir (with descant), C instrument and organ. With a text from John's Gospel, this piece for assembly, SAB choir, cantor, clarinet and organ is suitable throughout the Easter season, and also for occasions where we need to be assured of God's love. A simple melody will ensure that your choir and community will learn this quickly and easily. A very simple and effective melodic setting of Matthew 5 with a strong refrain, for assembly, C instrument and organ. A reflection on Christian discipleship, which is based on unconditional love. Suitable for general use throughout the year, and with a strong melody for the assembly. The text of this traditional Basque carol is given a new melody in this setting. For assembly, SATB choir, descant, keyboard, and solo C instrument. The ranges are reasonable and the part-writing is achievable by most choirs. Pretty! A strong setting of a well-known text, this piece is suitable for use as a communion processional, and also for funerals, baptisms and confirmations. Scored for SAB choir, cantor, organ, with optional parts for string trio, trumpet and timpani. A short, charming motet for unaccompanied SATB choir using a text from the Prologue of John's Gospel. With its theme of light overcoming darkness, this piece is suitable for use throughout Christmastime or the Easter Season. A vigorous processional hymn suitable for all occasions. Young people - and the young at heart - will especially love the driving rhythms and syncopation throughout. The World's Great Hope is an adaptation of a carol by Arthur L. Salmon. 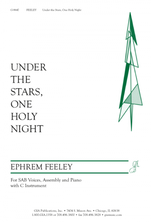 It is suitable as a reflective piece for the Christmas seaon, and with the reference to the Star of Bethlehem in the first verse, is especially suitable for the Feast of the Epiphany. 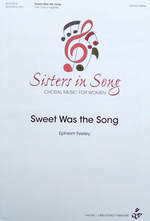 Scored for assembly, SATB choir, violin and piano, the changing arrangement in each verse will give your choir a challenge while still providing a beautiful melody for congregation. ​A short reflective piece for a cappella SATB choir and soprano solo, with quartial harmonies, whole-tone scales and a hint of bitonality, yet still accessible for listeners and performers. Suitable for Advent and the Christmas season. Each verse for cantor or choir recounts the events of Holy Week, from Judas' betrayal of Jesus on Spy Wednesday to the witness of the Resurrection of Jesus by the women on Easter Sunday. Between each verse is a strong refrain for assembly. This piece can be sung in its entirety during Holy Week, or at the beginning of each day, the relevant verse can be sung. This stunning piece for SSA choir is a setting of a 15th century text, capturing a tender dialogue between the infant Christ and his mother Mary. There are four different settings of the refrain, and seven verses for soloists and/or choir. The Lydian mode features throughout, and the entire piece is unified by a recurring, descending motif in the accompaniment. Ten minutes long, this piece will transfix the listener and bring both audience and choir into the mystery of the Incarnation. With a traditional Welsh air as the refrain, this multi-use hymn is scored for assembly, full choir, cantor and organ. Scored for assembly, full choir and organ, and incorporating motifs from the plainchant Ubi Caritas , this hymn is ideal for Holy Thursday, weddings, or any occasion where the theme is of love and service. A lyrical setting of this beautiful text captures the magic of the Christmas story: references to shepherds, the wise men, the angels, the Virgin Mary, and of course the recurring image of the Star of Bethlehem paint a picture of the first Christmas. Scored for assembly, SAB choir, descant, violin and piano. Suitable as a general communion hymn, or for a hymn throughout the Easter season, this piece is scored for assembly, SAB choir, cantor and organ. Ideal as a gathering hymn for Holy Thursday, and also suitable throughout the Easter Season, this strong, modal piece is scored for assembly, SAB choir, cantor and organ. Suitable as a hymn of praise or ideal for blessings of music ministers, for choral festivals, and for Saint Cecilia's Day. Scored for SATB choir, organ and trumpet. A strong communion processional for assembly, full choir, cantors and organ with optional violin part. A gathering hymn for all seasons, this robust piece is scored for assembly, SAB choir, cantor and organ. Using verses by James Quinn, with a very simple refrain announced by the cantor each time. Scored for assembly, full choir, cantor and organ, this hymn is suitable for the Easter Triduum, weddings, and all occasions where the theme is God's love and promise. A dignified entrance or communion processional, scored for assembly, SAB choir, cantor, violin and organ. Suitable for use throughout the year.